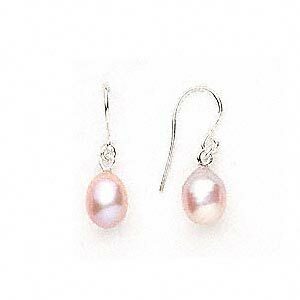 Sterling silver and cultured freshwater pearl drop earrings, mauve, 7x12mm. Sold per pair. 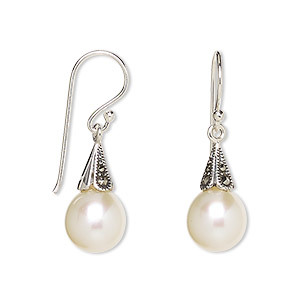 These simple, yet elegant, pearl earrings radiate with natural luster and shine. 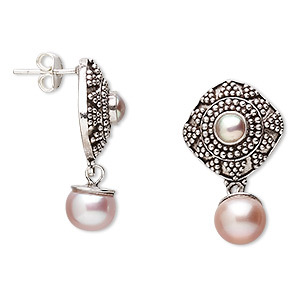 Earring, Signity® marcasite (natural) / cultured freshwater pearl / antiqued sterling silver, mauve, 31x8.5mm with 8x5mm cone and 10x8.5mm teardrop with fishhook ear wire. Sold per pair. 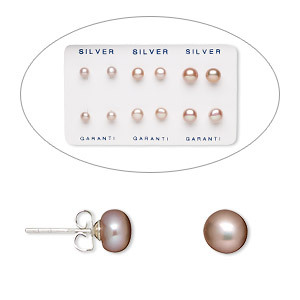 Earring, sterling silver and cultured freshwater pearl, mauve, 4-4.5mm / 5-5.5mm / 6-6.5mm button with post. Sold per pkg of 6 pairs. 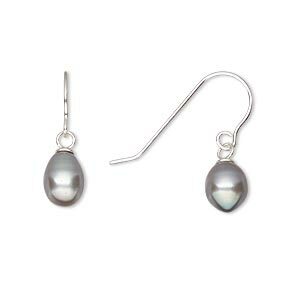 Earring, cultured freshwater pearl and sterling silver, mauve, 28mm with 17mm diagonal square and post. Sold per pair. 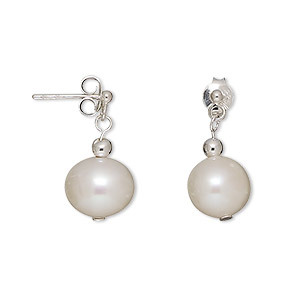 Earring, cultured freshwater pearl (bleached) and sterling silver, white, 17mm with 9mm semi-round and post. Sold per pair. 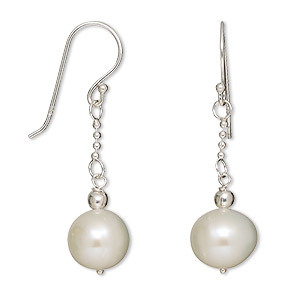 Earring, sterling silver and cultured freshwater pearl, white, 9mm round drop with fishhook ear wire, 35x9mm overall. Sold per pair. 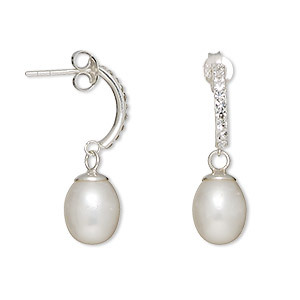 Earring, cultured freshwater pearl (bleached) / sterling silver / glass rhinestone, white and clear, 26mm with 10x7mm teardrop and post. Sold per pair. 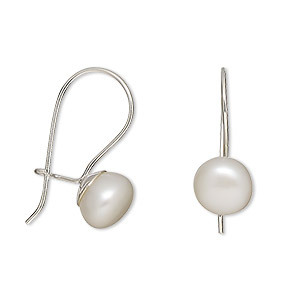 Earring, cultured freshwater pearl (bleached) and sterling silver, white, 20mm with 8mm button and leverback ear wire, 20x8mm overall. Sold per pair. 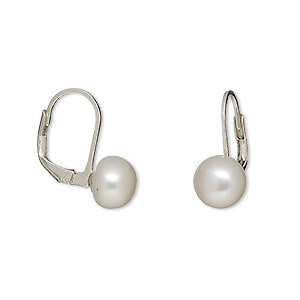 Earring, cultured freshwater pearl (bleached) and sterling silver, white, 22x8mm with 8mm button. Sold per pair. Earring, cultured freshwater pearl (dyed) and sterling silver, peacock, 21mm with 8x6mm oval and fishhook ear wire. Sold per pair. 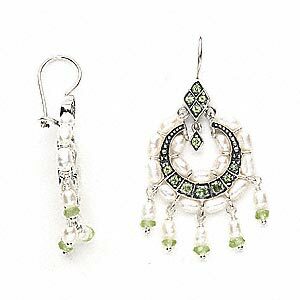 Earring, antiqued sterling silver with peridot and cultured freshwater pearl, 53x25mm overall. Sold per pair.